Today is the 149th birthday of one of the greatest heroes in Philippine history, Andrés Bonifacio. His birthday has been celebrated by the Filipinos for many years and he became an inspiration especially for the nationalists and left-leaning people who taught that Andrés Bonifacio came from the same ranks of his but actually, Andrés Bonifacio came from a middle class family, who became an orphan at his early teenage as his both parents died of illness and working for the British and German business interests before he joined the La Liga Filipina founded by José Rizal, then he created his own Kataastaasang Kagalanggalangang Katipunan ng mga Anak ng Bayan or Katipunan. The arrest of José Rizal changed the life of Andrés as he decided to establish a secret society called Kataastaasang Kagalanggalangang Katipunan ng mga Anak ng Bayan or Katipunan, with the goal of freeing the Philippine Islands from the Spanish rule through armed revolt. He was influenced by the ideals of Freemasonry through its rituals and organization, and several members aside from Bonifacio were also Freemasons. At that point, Andrés Bonifacio was losing hope for a peaceful means of getting the Philippine Islands an independence from Spain as the La Liga Filipina founded by José Rizal was split between his Katipunan and the Cuerpo de Compromisarios, dominated by the wealthy members of the La Liga Filipina. Within four years, the Katipunan grew up from 30,000 to 40,000 members by the time it was divulged by the Spanish authorities through a member who told a Spanish priest. In reaction of the Spanish manhunt, Andrés Bonifacio called thousands of Katipunan members for a gathering in Caloocan, where they decided to start their revolt through tearing the community tax certificates or Cedula and the event was called as the Cry of Pugad Lawin. The revolt at first was successful as the Katipunan members took some towns around Manila, Morong, Bulacan, and especially in Cavite (under the command of Emilio Aguinaldo and Mariano Alvarez). However, Andrés and the Katipunan suffered defeat in battles as the Spanish government with mostly native Filipino mercenaries were able to retake Katipunan bailiwicks due to lack of armed equipment financial constricts, and factional differences especially between Andrés Bonifacio and Emilio Aguinaldo. It was in Cavite where Katipunan suffered total defeat where the factions of Magdalo led by Emilio Aguinaldo and the Magdiwang led by Mariano Alvarez put Andrés under peril that cost his life later as the two factions cannot agreed on how to establish a national government once they defeated the Spaniards. Tejeros Convention was held which the delegates elected him as the Director of the Interior which was later protested by a certain Daniel Tirona, who taught that lack of formal education of Andrés will be the hindrance of running such position. Such an insult by Daniel Tirona brought Andrés Bonifacio into anger and decided to annul the election. The complicated factional situation between the Magdalo and the Katipunan derailed the efforts of the Filipinos to gain freedom from Spanish rule as the Spaniards were able to retake all Cavite towns and Emilio Aguinaldo and the remaining members of Magdalo, had to flee to Biak na Bato then to Hong Kong while Bonifacio and the Magdiwang members had been scattered all over the Tagalog region to continue their fight against the Spaniards and the Magdalo. Andrés Bonifacio died on 10 May 1897 in Maragondon, Cavite after he was sentenced by a court, established by Emilio Aguinaldo with the counts of sedition and treason. According to Apolinario Mabini, one of Aguinaldo’s aide, Bonifacio’s death demoralized the revolutionaries from Manila, Laguna, and Batangas while other Bonifacio aides like Emilio Jacinto had to hide to avoid Emilio Aguinaldo and his minions. Andrés Bonifacio was an exceptional man who fought for the freedom of the Filipino people from the excess of the Friar-dominated Spanish colonial rule. He was not intended to make an armed rebellion against the Spanish authorities had they not arrested José Rizal and heeded the peaceful demand of Rizal for a reform or much earlier, the Spanish authorities grant the Filipinos the self-government after the Gomburza fiasco. Factionalism and envy by other Katipunan was the start of his unintended downfall and eventually unintended death. Our country would have been a better ones than right now had the factions of Katipunan stepped aside their differences and focused their energy to defeat the Spaniards and then govern the government of all Filipinos. The GDP growth in the previous quarter was based on consumer spending not production ones. The Philippine economy last quarter of this year grew 7.1% (based on 2000 price) compared the same quarter of 2011. According to the National Statistical and Coordination Board (NSCB), the growth was driven by the services sector with the robust performances of transport, storage and communication, financial inter mediation, and real estate, renting and business activities supported by the five consecutive quarters of sustained accelerated growth of the industry and the seemingly weather tolerant agriculture sector. However, the press release and the NSCB themselves did not look at the bigger picture on the source or components of the economic growth of our economy not just during the last quarter but also with the previous years wherein the economic growth has been driven by the service sector (primarily BPO earnings and indirect OFW remittance spending) while manufacturing and especially the agriculture that could have stimulate more capital and jobs in our economy have been lagged behind. at current and constant 2000 prices, in million pesos. See, the economic growth was mainly based on industry and services while the agriculture was left behind. See, the forestry and fishing output decreased from the third quarter of 2011 to the same quarter of this year. See, mining and quarrying output decreased while the manufacturing growth was lagging behind in relative to the overall GDP growth from the third quarter of 2011 to the third quarter of this year. See, only the service sector gave our economy a significant growth while the agriculture and the industry especially manufacturing that should have been a key driver of our economic growth and would have provide jobs to millions of unemployed Filipinos in this stage of our economic development have been lagged behind. See, if we look using the components of the Gross domestic product, we will realize that the government spending is one of the principal key drivers of our economic growth and development and that is not really a good habit to maintain by our government to spend further in our economy as the government when it spends tends to misappropriate the money to few benefactors whereas if we let the private sector (local or foreign) as one of the key drivers of our economy, there would be more economic growth multipliers for the rest of the economy as the private sector tends to be competitive in spending money and providing jobs and services to the people as they have to deal with other competitors for the consumers and workers. In conclusion, the government needs to have structural economic reforms in order to assure that all sectors in our society will benefit the fruits of the economic growth not just the selected few people like improving our foreign investment regime through scrapping the 60/40 forced equity sharing in favor of a Filipino individuals or corporations in setting-up domestic-based firms, extracting natural resources, education, advertising, and media by foreigners that could stimulate further economic growth multiplier not just to millions of unemployed Filipinos but also to existing Filipino-owned businesses and the government like more know-how, technology, expertise, and government revenues for the government to use for social and infrastructure spending by the government; lessening the red tape in getting permits so that entrepreneurs will encourage to set-up their business not being wasted their capital of paying bribes to the government just to start a business; and rationalize the tax system like scrapping imposing the flat income tax system of 12.5% so that the workers and the consumers will have a more purchasing power to spend for services that would stimulate the economy further. Herman Tiu-Laurel: Anti foreign direct investment yet he is wearing Western business suit, speaking English, writing in English in his column, a partly Chinese. Certified hypocrite indeed. Last Friday, after reading the article written by Herman Tiu-Laurel through The Daily Tribune titled “‘Opening-up’ RP“, in respond to Peter Wallace’s column titled “Constitutional change now” with a xenophobic rhetoric particular against the Australians, the nationality of Peter Wallace of saying that he should return to the land of “bandits, rogues and garbage”. I could not control myself but to respond his garbage, miseducated, and xenophobic editorial that was published not just in the internet through the website of The Daily Tribune but also in the conventional print circulation distributed nationwide wherein few could had read his editorial and I have to write his rebuttal in order not to be brainwashed or mislead by a certain Herman Tiu-Laurel. He writes that our neighboring Asian countries have restrictions in foreign equity ownership in certain economic sectors, except except in sectors where locals have no competence, inclination or capital to venture in. I do agree on that however, he forgot that their restrictions in foreign equity ownership in certain economic sectors have been done through a simple legislation framework that would be easier for them to restrict or relax foreign equity ownership restrictions in certain economic sectors unlike here in the Philippines, wherein our foreign equity ownership restrictions have been stipulated in our 1987 constitution at all economic sectors practically (Article XII, Section 2, 10-11; Article XIV, Section 4; and Article XV, Section 11) or what we known as the 60/40 forced equity ownership sharing in favor of a Filipino individuals or corporations where foreign investors have to surrender their 60% of control of their own capital to a certain Filipino individual or corporation which is riskier compared of letting foreigners invest 100% from his/her own pocket and control what he invest in a particular business. He forgot to realize that as of July 2012, the Philippines only got $900 million foreign direct investment inflows compared with $800 million in July 2011, a growth of 10.6% but still one of the laggard in Asean compared on what Singapore got in July 2012 of $27.4 billion, slightly 1.9% below compared with the same period last year but still one of the prime destination for foreign investments in Asean. You see, the Philippines has more restrictions of foreign equity ownership because of the idiotic 60/40 forced equity sharing in favor of a Filipino individuals or corporations. He writes that the country already has significant surplus in foreign exchange holdings relative to its foreign debt, and P1.8 trillion in savings from overseas Filipino workers, export and BPO sectors held in the Bangko Sentral ng Pilipinas (BSP) paying four percent to keep in its vaults. While I do agree that we have a significant surplus in Forex holding but he did not realize that the money is not meant to be spend for other expenses to our government like social, infrastructure, and many others but the bulks of Forex reserve by the Bangko Sentral ng Pilipinas will be used to cushion our foreign exchange relative with other world currencies from the fluctuations of global economy, therefore our foreign exchange holdings are for the protection of our currency. He says that we have P1.8 trillion savings from overseas Filipino workers but I tell you, Herman, what’s the use of that trillions of pesos of remittances from our OFWs only 15% is meant for investment that would have provide jobs for Filipinos at home while the other 85% is meant for consumption whether needy or conspicuous, you cannot grasp the spending attitudes of most OFWs who went abroad forcibly just to support their remaining families here in our country while causing other social problems like adultery, drug addiction, early pregnancy, and among others yet you are encouraging more Filipinos to go out of our country while not fixing our investment climate so that instead of Filipino workers going abroad, the foreign investors should be the one will come here in our country to provide jobs to millions of unemployed Filipinos, give technical expertise to the Filipino workers, give technological expertise to the Filipino entrepreneurs, and many others. The goal here in order to lure more investors is to give them a better environment so that they will invest here in our country instead of driving them out of our country like foreign equity ownership restrictions in the constitution. 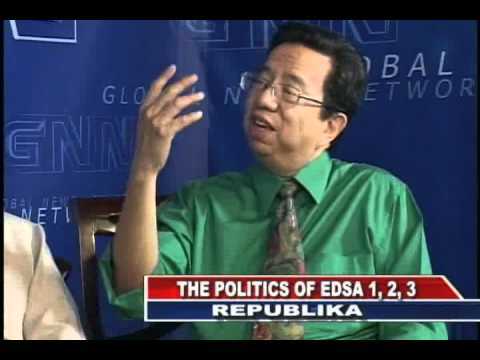 He keeps saying that the money from the Forex reserves, our OFWs remittances, exports, and BPO revenues should be used for productive agriculture and manufacturing enterprises which would necessarily compete and substitute for goods imported today today — local dairy, shoes, clothes, steel, machinery and others. He did not realize that the money the government gained through taxation does not have enough capabilities and manpower on spending it in agriculture or manufacturing and instead, the government cannot fulfill those tasks compared with the private sector in running enterprises as the government had to rely on appropriations not on profit on targeting the market needs or allocating money for improving services. Without real foreign competition in the domestic market as a result of restrictive investment regime stipulated in our 1987 constitution, there is no motivation from the locally-owned enterprise to expand their market or improving their services to the consumers and their workers. His argument that we have no shortage of local capital is useless as long as the people does not have enough purchasing power to spend beyond their basic needs. 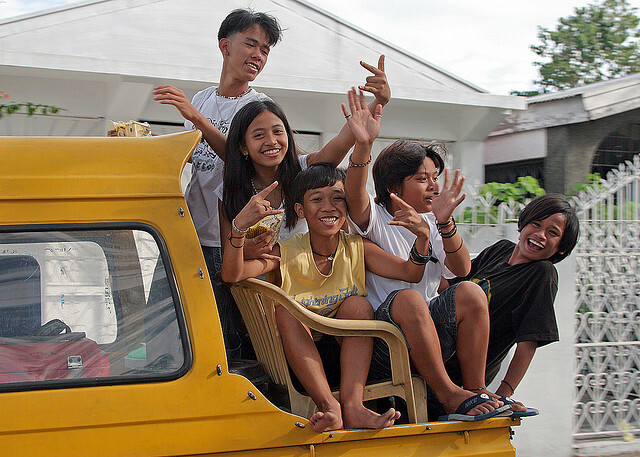 In order to have our economy more inclusive economic growth, let us encourage foreign capital, technology, and expertise to enter in our country without much restrictions and with proper regulations so that if there will be more competing companies for jobs in order for their businesses to operate, more unemployed Filipinos will be given an opportunity for employment at home instead abroad as more competing businesses for jobs tends to increase wages over time in order to maximize the labor supply and order for a company to maintain its workers from transferring to other competing companies. Higher wages over time means that there will be an increase of purchasing power among the workers to spend for conspicuous necessities or for establishing a small enterprise to compete with existing enterprises for consumers and workers. The power of free flow of capital, technology, and expertise are what Herman Tiu-Laurel cannot or maybe will not bother to grasp as he had to defend the interests of his bosses who are afraid of foreign competition that would diminish the profit margin of his bosses, therefore his financial survival while the Filipino people would be empowered with more competition in the economy whether the players are local or foreign. 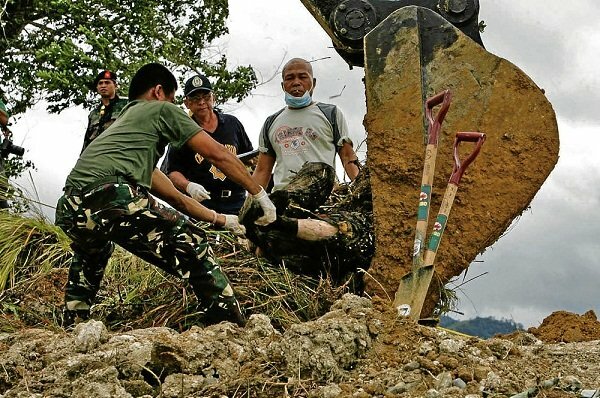 Authorities had to use backhoes (used to bury the victims) just to excavate the remains of the victims of the massacre. Today is the third anniversary of the infamous Manguindanao massacre where 58 innocent civilians were killed by the then-ruling Ampatuan clan led by Andal and Zaldy Ampatuan, mayor of Datu Unsay, Maguindanao and governor of Autonomous Region in Muslim Mindanao. The massacre happened during the midst of the filling of certificate of candidacy for the candidates of then-upcoming 2010 elections. The then-Buluan vice mayor, Esmael “Toto” Mangudadatu, the current Maguindanao governor and relative of the Ampatuan clan invited 37 journalists to cover his filling of his certificate of candidacy as Maguindanao governor candidate against Andal Ampatuan, Jr., Datu Unsay mayor and son of then-governor Andal, Sr.. While Toto was waiting for the six convoys that contains the 37 journalists and his wife, the massacre happened, just 10 km away from Shariff Aguak, the provincial capital and the location where Toto was going to file his certificate of candidacy wherein the convoy was stopped by 100 armed men who abducted and later killed most or all of its members. The abductors had to use a backhoe to bury the 58 victims including 34 journalists, Toto’s wife, Genalyn, and the vehicles. The perpetrators were not able to complete the job when a helicopter was spotted in the area. The backhoe, emblazoned with the name of Maguindanao Gov. Andal Ampatuan Sr., was later identified to belong to the Maguindanao provincial government. In the aftermath of the incident, then-President Gloria Macapagal Arroyo declared martial law in whole province of Maguindanao to restore law and order and to give the police and military forces a flex muscle to arrest the perpetrators like Andal Sr, Andal Jr, and Zaldy. At least 198 suspects, including Andal Ampatuan Jr. and Andal Ampatuan Sr. and several other members of the Ampatuan clan, have been charged with murder. In April 2010, the government dropped murder charges against Zaldy Ampatuan and Akhmad Ampatuan who had presented alibis. This led to protests by family members of the victims. As of 23 November 2011, two years after the massacre, only Andal Sr. and his son Andal Jr. had been charged, and some 100 of the 197 persons listed on the charge sheet were still unaccounted for. The aftermath of the incident was really devastating and probably the scars of the incident will remain forever as our judicial system cannot even tried the perpetrators, let alone giving the justice for the victims of that massacre. The Maguindanao massacre case is one of the signs of the crawling judicial system in our country as cases especially involving prominent persons will have to take years to resolve the case and give the verdict to the perpetrators as the perpetrators through their lawyers would make any excuses and technicalities for their clients to evade conviction like using “health reasons” as an excuse for the perpetrators of not attending the trial. I only give my prediction that the trial will take years to resolve and probably even the perpetrators will die someday, the case will be still unresolved that would make the case a moot therefore, no justice will be served for the victims of the massacre due to our crawling justice system. According to the latest poll done by the United States-based research firm, Gallup, the Philippines is one of the most emotional countries in world compared with other 152 countries surveyed by the Gallup from 2009 to 2011. According to the survey, Filipinos were most likely admit feeling both positive or negative emotions, while other countries especially Singapore, were least to do so. Looking with the results of the latest survey done by Gallup, it only shows that our society has been embedded with emotions especially in decision-making at all aspects in life whether political, economic, and social. Our culture tends to reward people who can give emotions so certain things of life while penalizing those who use reason and practicality in resolving problems on whether a individual problem or social problem. It also shows the correlation between the tropical climate region where both the Philippines and Singapore located with opposite aspects on emotions and reason does not really in case as for many years, Singapore had developed their investment climate friendly for all investors from around the world and then gained enough capital from foreign investments to spend for developing their educational system that promotes logic and reason, while us did not develop as we cling to our empty emotions against foreign capital and investments that could improve our educational system. The lesson with the survey was that we need to balance our emotions with reasons especially in decision-making in our daily lives and especially in the decision-making in our government like economic, political, and social ones in order for us to achieve a better development for our country. Our leaders should not be swayed with the emotions of the majority people without empirical evidence to support their emotions rather our leaders should make their policies based on reason and practicality. The ordinary people should also realize that reason ought to be prevailed at all decision-making rather than emotion especially in comes of a romantic relationship for example. Our society should reward people who use reason, practicality, and critical thinking over those people who think only emotions without using reason in achieving goals of life. Last Tuesday, another confrontation incident happened at the LRT Santolan station between an on-duty security guard and a student from La Consolacion College named Paula Jamie Salvosa as the security guard told Salvosa that she entered the LRT station in the exit side (wrong way). Unfortunately for Salvosa, her confrontation with the security guard was taken through video then uploaded on Facebook and Youtube by a certain Gregory Paulo Llamoso RN on which it gained millions of viewers and negative reactions especially to Salvosa, the one who confronted the security guard for her mistakes of passing the exit area. I think that we blame Salvosa too much as her actions (not the way she shouted the security guard) are inevitable at times as we commuters tend to be in hurry just to come up with your appointments on time but it does not mean that I sympathized with her actions as she should have not raised her voice to confront the security guard but she should have kept her tantrum in explaining on why she passed the exit line instead the entrance line. I cannot blame the security guard as she did her duties on maintaining the order of the MRT Santolan station. The most of the blame should go to a certain Gregory Paulo Llamoso RN as he uploaded the video without knowing that it could damage Salvosa’s future through taking the video then upload it on Facebook and Youtube. That man should have been a conscious and analytical enough that Salvosa’s actions are typical for a commuter who cannot bear the entrance and exit system in a public transport terminal but instead, when the confrontation was ongoing, he took a video and uploaded it that caused the millions of netizens to throw their anger to Salvosa with statements that were derogatory. As a result of the incident, Salvosa was advised by her school, La Consolacion College not to attend classes to avoid further humiliation and as a result, her personality and reputation was tarnished forever without a possibility of redemption for her in the future. The lesson of that incident was that we need to keep our temper from exploding that could cause your destruction of reputation in front of many people especially if there is someone taking a video then uploading it on the internet and to the persons who want to take videos during incidents like what happened at the LRT Santolan station should be careful and conscious enough that he/she cannot destroys person’s reputation who may have a potential for redemption. ERRATUM: She was not expelled rather, she was advised by her school not to attend classes to avoid further humiliation. Apologies. 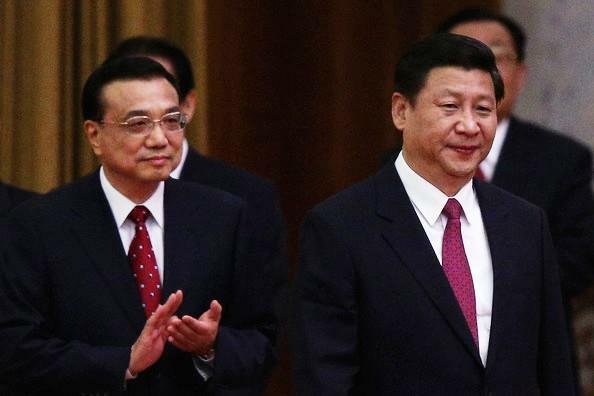 Li Keqiang and Xi Jinping, the new leaders of the People’s Republic of China. Earlier, the Central Committee of the Communist Party of China selected the new leaders to seat the seven seats of the powerful Politburo Standing Committee, the committee consisting the top leadership of the Communist Party of China and therefore, the highest committee of the second largest economy, the People’s Republic of China which to be lead by the new General Secretary, Xi Jinping and the new Deputy Party Secretary, Li Keqiang. Xi Jinping will assume as the President of the People’s Republic of China from Hu Jintao, the outgoing president on 15 March 2013 and Li Keqiang will assume as the Premier of the People’s Republic of China from Wen Jiabao, the outgoing premier on the same date. Their selection was a already expected as in 2007, Hu Jintao and Wen Jiabao chose Xi Jinping and Li Keqiang as their successors taking them the position as the Vice President and the Vice Premier of the State Council of the People’s Republic of China. The selection of Xi Jinping and Li Keqiang was significant as for the last decade, China has been experiencing one of the most spectacular economic growth and international rise in recent history as China has been able to grow economically with an average of 10% annually from 2002 to 2011 and became the second largest economy after the United States in 2010, surpassing Japan as China has able to benefit the dividend of the WTO’s membership in 2001 like increased FDI inflows, freer capital inflows, lesser inflation, and the increased standard of living. 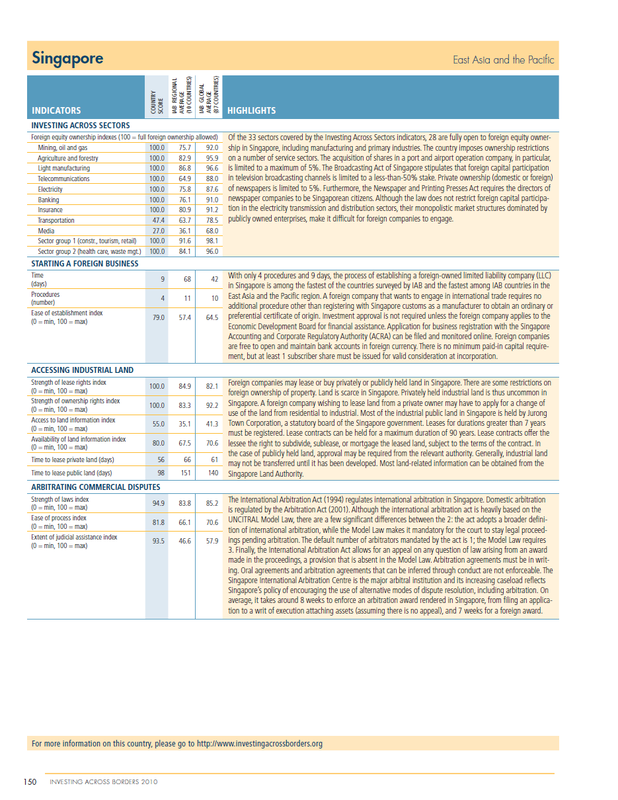 China has able to expand their economic and political influence for the last 10 years as Chinese companies whether state-owned or privately-owned has able to tap the opportunity given by the globalized economic system to cover the needs of the increasing domestic demand of Chinese people within the Mainland China like pouring investments in Argentina, Australia, Africa, Brazil, Canada, Chile, Indonesia, Iran, Russia, Saudi Arabia, and the United States that have bring a increased economic growth and development with the rest of the world for the last 10 years. 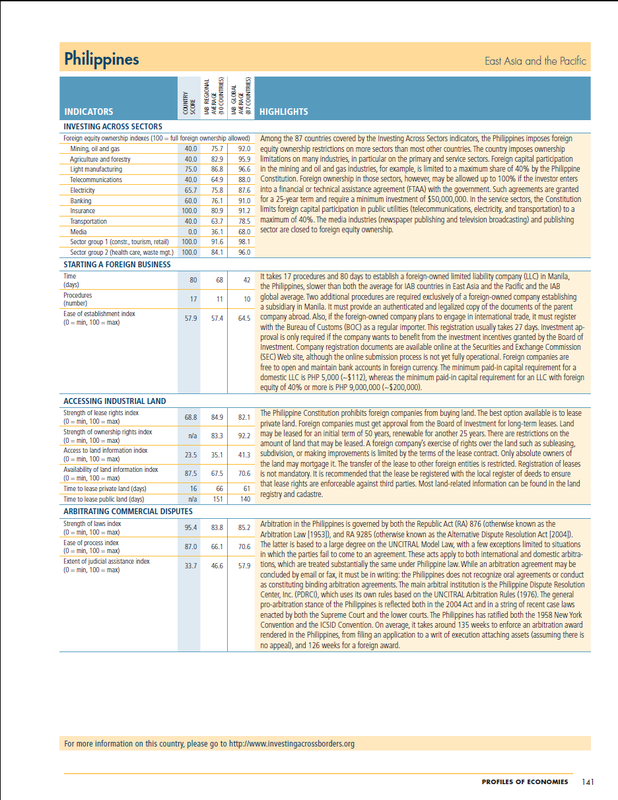 Despite of the enormous economic gains, China is still experiencing massive income inequality; tight control on political and civil rights of the people; political corruption; fragile financial sector; poor relations with its immediate neighbors like Vietnam, Taiwan, South Korea, Japan, and the Philippines; and environmental degradation that the newly designated leaders of the People’s Republic of China needs to be addressed in order to continue the peaceful and gradual rise of the People’s Republic of China as one of the leading countries in the world that would be beneficial not only to their citizens but also the rest of the humanity.